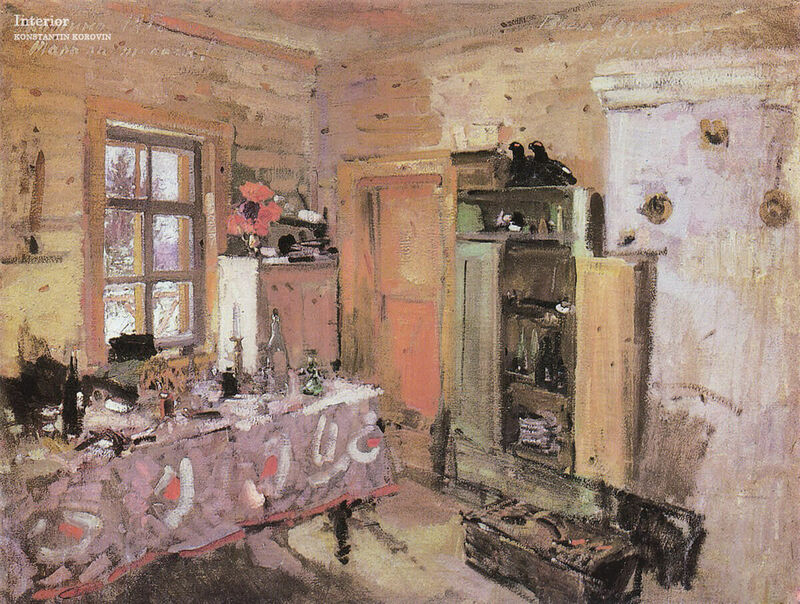 In between important orders and plein airs artists of all times were inspired by simple things: scenes of everyday life, home decoration, comfort of routine. 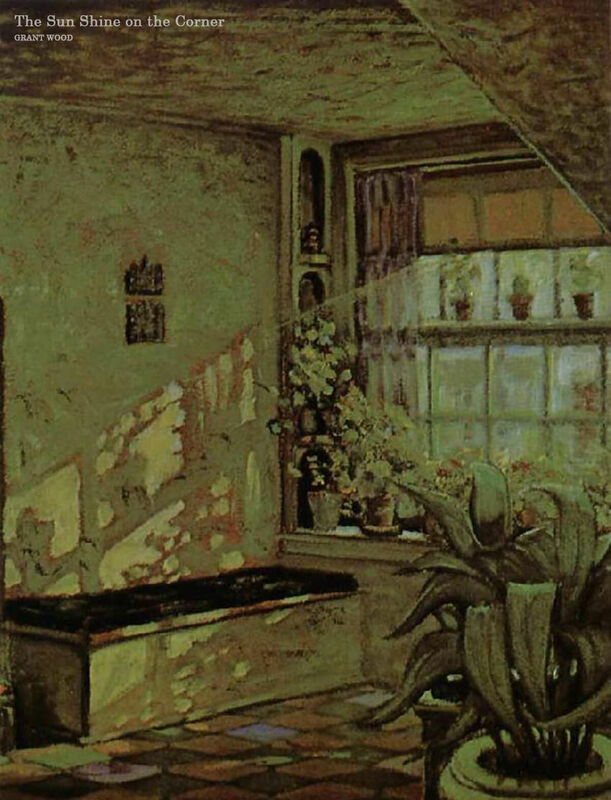 Today for us such paintings are not only an opportunity to enjoy creativity of painters, but also to have a look at the interiors of those years. Where did people sleep at the beginning of the 19th century in France? 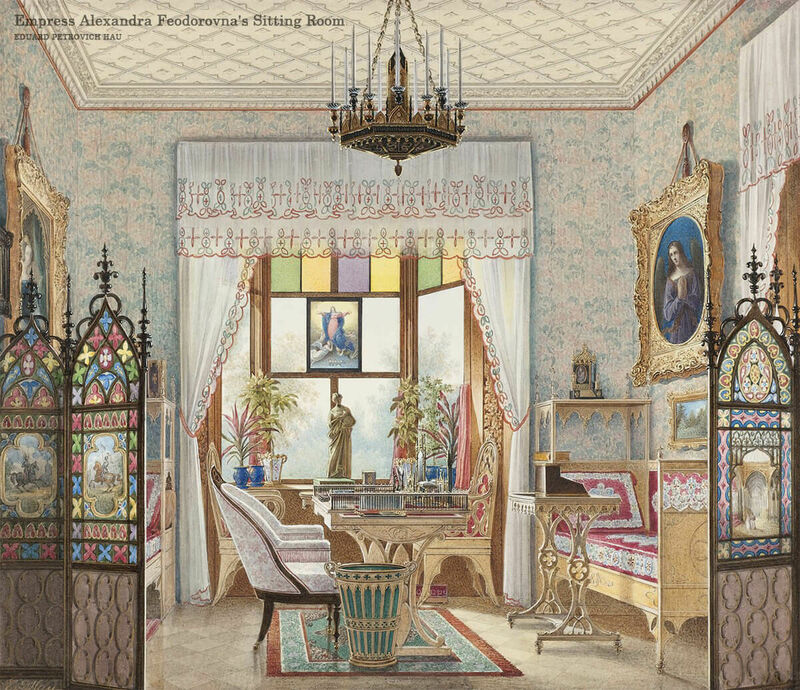 What did dining rooms look like in Russian houses of the early 20th century? What rooms would the Queen consider "modest"? Paintings may answer all of these questions. 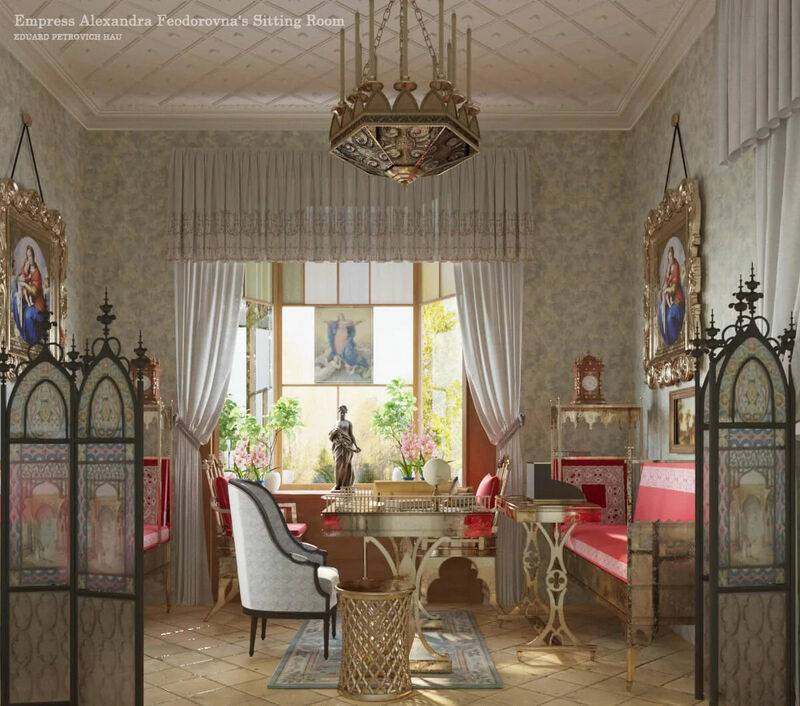 British creative Agency NeoMam Studios showed how famous interiors would look in real life. 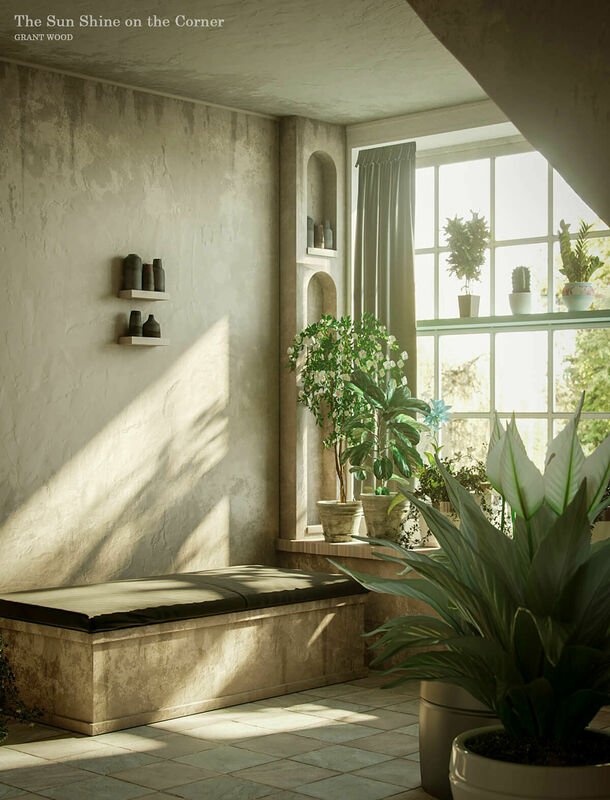 Upon the order of the Home Adviser portal, 3D graphics specialists and interior designers have created 3D models of six residential premises. 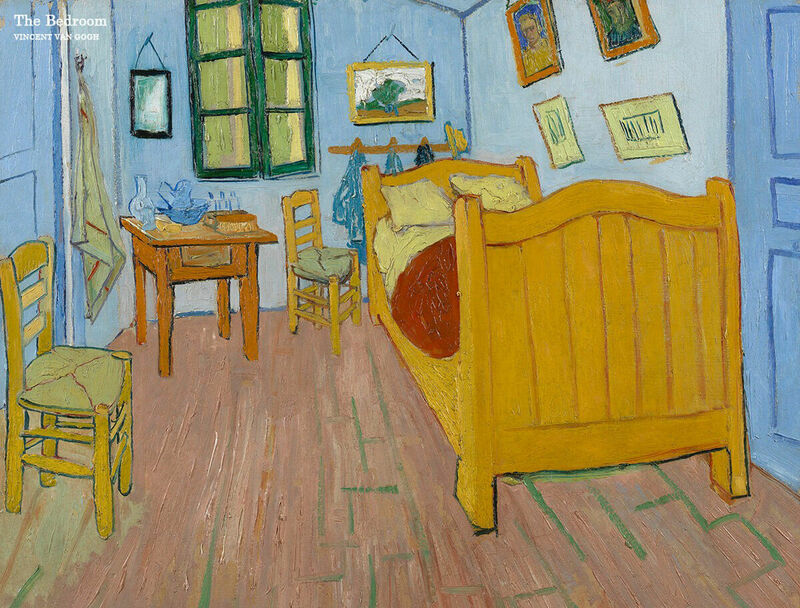 A serious approach to the problem is supported by attention to detail: for example, on the walls you can see the work of artists whose paintings are reproduced in the model. 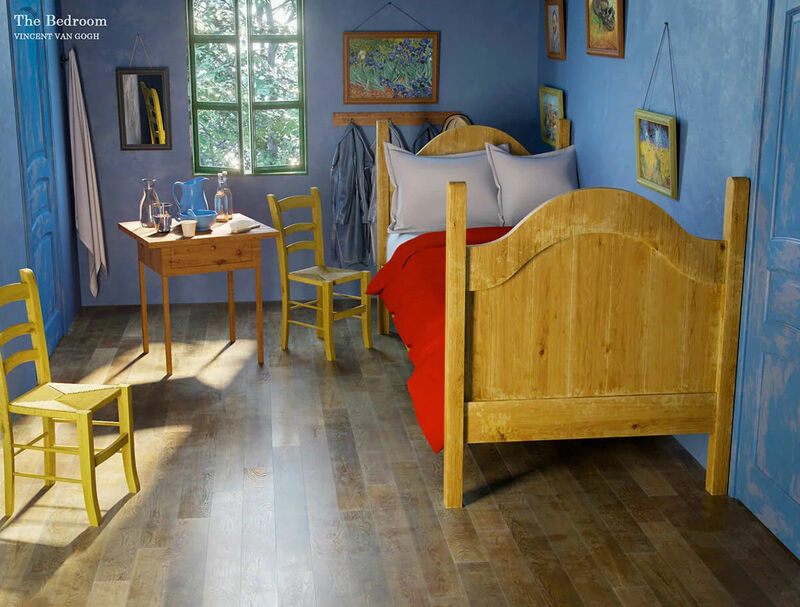 According to the artist, the bedroom in the French city of Arles was the embodiment of peace and tranquility for him. 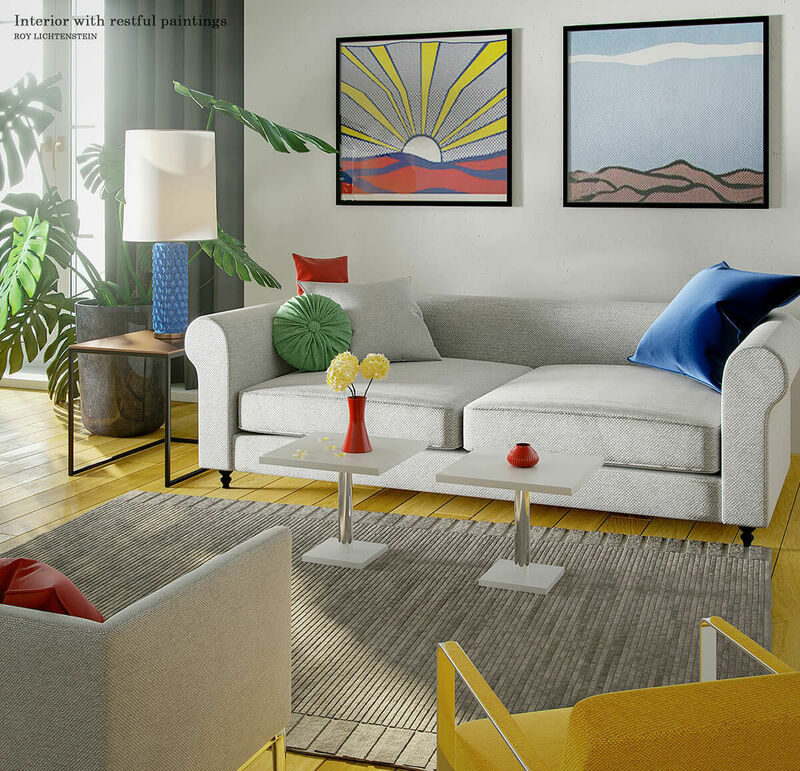 Simple furniture, pleasant shades and sunlight, gently penetrating into the room through the window — all of that was carefully transferred by the designers to a realistic interpretation. Grant Wood is best known for his painting "American Gothic". The presented canvas makes similar impression: the atmosphere of melancholy and silence of village as if hang in the air. 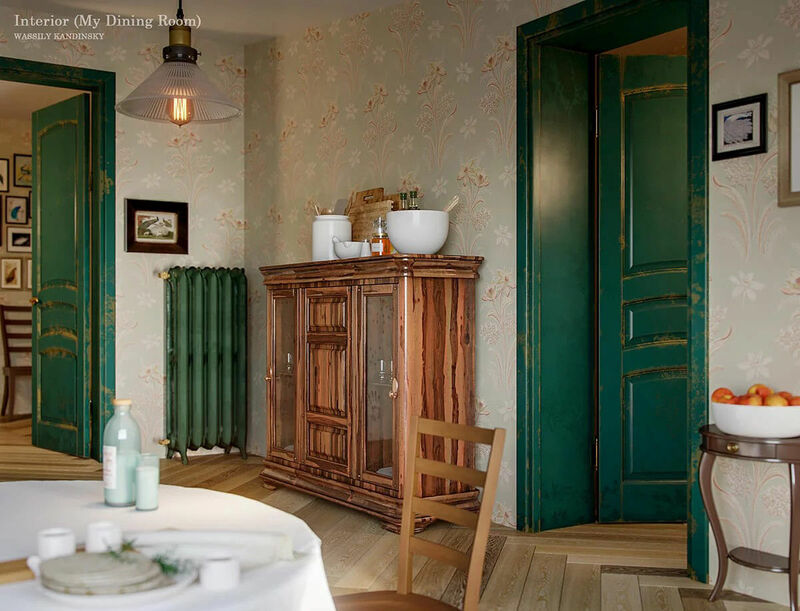 The designers` variant looks more cheerful, and the similarity is achieved by maintaining contrast between the pale gray walls and lively, bright green plants. 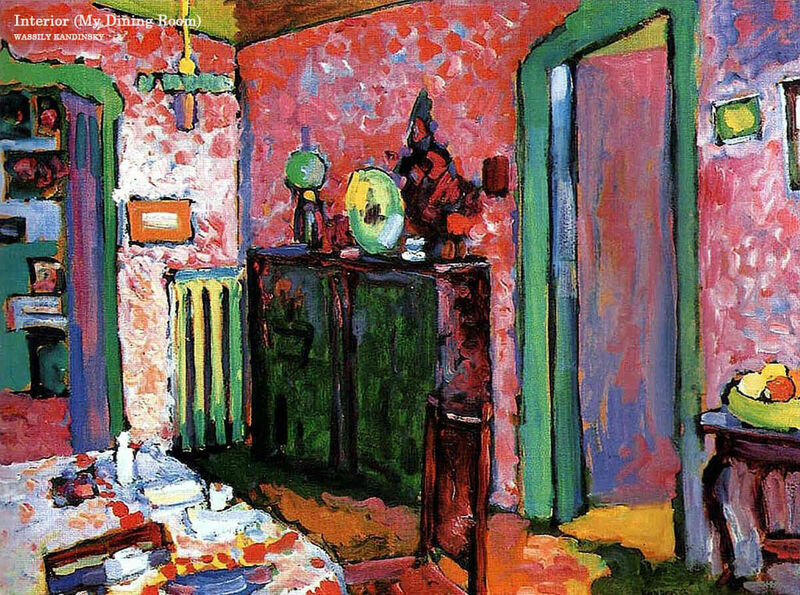 The painting was created in the transitional period for the artist, when Kandinsky had already begun to experiment with abstraction. The image of the dining room perfectly conveys this mood of the author: unrealistic brilliance and expressive manner — obviously the fruit of imagination and fantasy of the painter. Designers also depicted the room as close to the reality of the time as possible, adding liveliness due to the variety of textures. 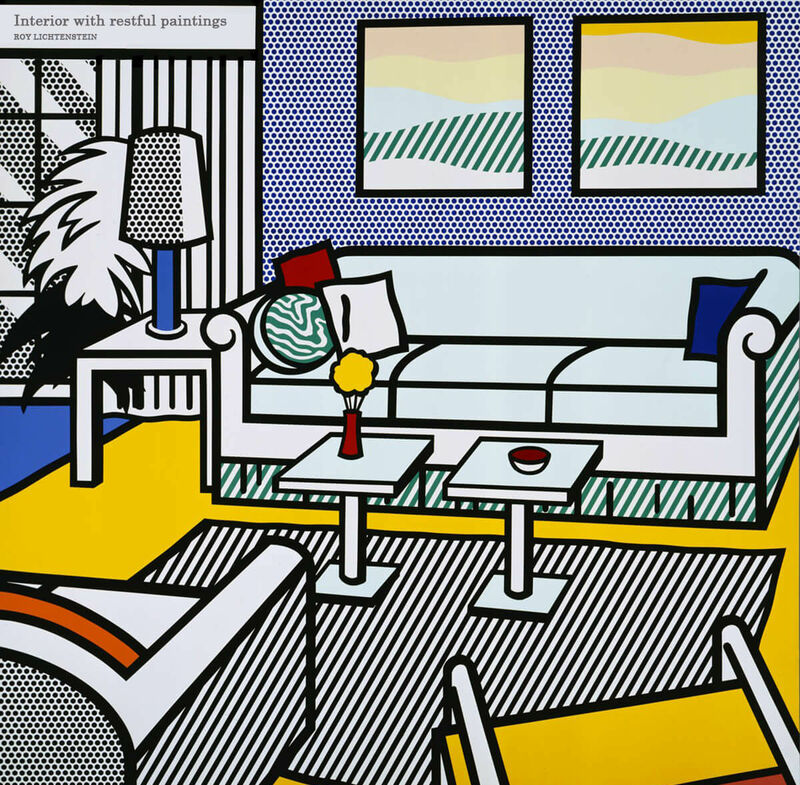 Comic two-dimensional graphics of this work was one of the most difficult tasks for designers. However, realistic decor turned out better, abandoning the diversity of patterns. Transformed into a variety of textile textures, pop art played here with new, quite modern colors. 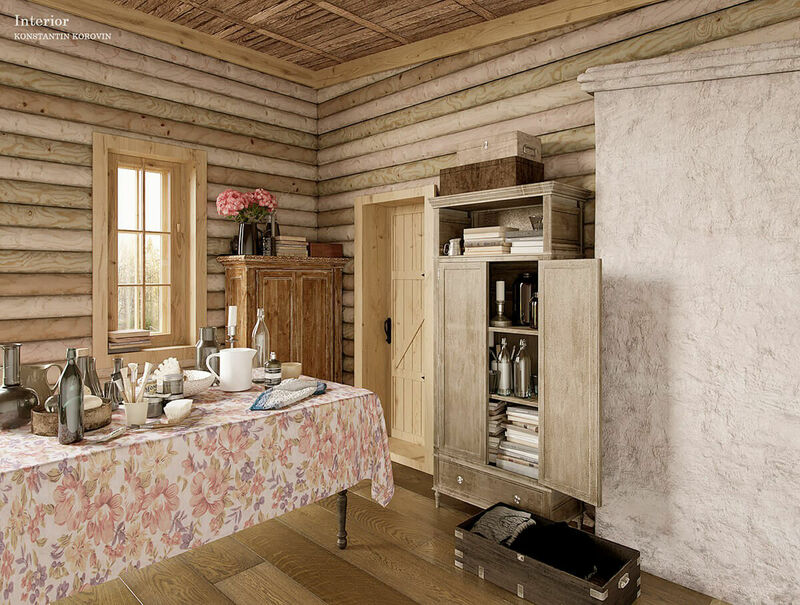 The walls of the 3D model were decorated with two paintings of Liechtenstein — as a tribute to the original. Cinema is a visual art. A huge team of specialists from various fields, including designers, fashion historians, are working on the creation of each film. Sometimes, when I'm looking at talented and absolutely incredible works of the masters, I think that nothing is unachievable or beyond human hard work, desire and passion. If you look at the calendar, you will see a series of wonderful holidays each next month. St. Patrick's Day, April Fool's Day, Mother's and Father's Days... Easter — one of my favourite holidays! Fluffy and smooth, white and spotted — all kinds of cats are found in paintings by Lucie Bilodeau. Certainly, one could find familiar features of favourite pets there. The insect world is full of inspiration: colourful butterflies, transparent wings of dragonflies, glossy bellies of beetles — all this is well transferred to the art world. I want to share a selection of detailed pictures of embroidery on designer outfits. Look for ideas and new experience!